FHANI Advocacy team’s visit to Kaduna State Ministry of Budget and Planning. 4th from left is the Perm Sec. Mahmoud Yamusa, while the team Leader, Iliya Kure 2nd from left. An advocacy group, Family Health Advocates in Nigeria Initiative (FHANI) has lauded the supportive role of Kaduna State Planning and Budget Commission in ensuring a smooth environment for Family Planning to thrive in the State. The Ag. Secretary of the group, Mr Iliya Kure made the commendation during an advocacy visit to the Commission by members of the group, including an official of Planned Parenthood Federation of Nigeria (PPFN). 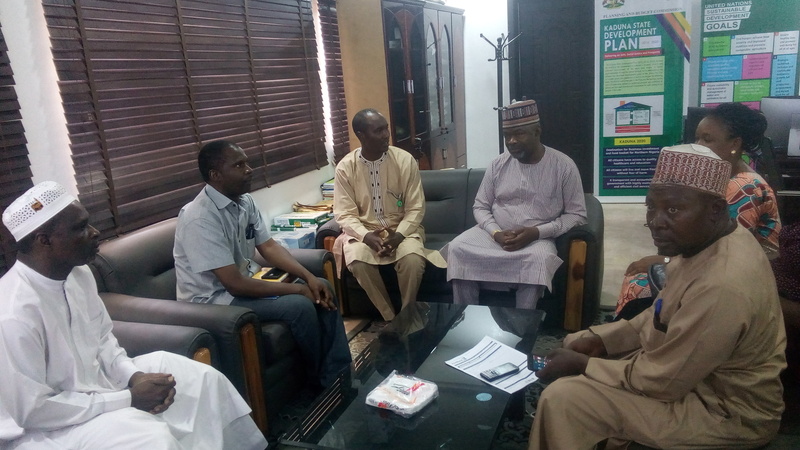 The Acting Secretary told the Permanent Secretary, Mahmoud Nuhu Yamusa and some management staff that the Commission had been very supportive, which necessitated FHANI to come and acknowledge the passionate Stance of the Commission towards Family Planning. Kure reminded the Permanent Secretary that apart from creating additional budget line despite other competing demands, the Commission also ensured releases of appropriated funds. “Kaduna has a recapitalization budget line for procurement of reproductive health Spacing commodities and consumables, though the State is currently experiencing stock out of the commodities. 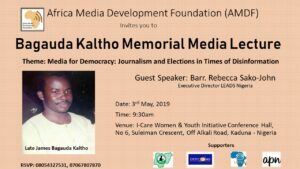 It is disheartening to note that the State that had made so much achievement, is taking aback because of lack of commodities, we are not happy about this,” Kure said. He informed the Permanent Secretary that Kaduna State has however continued to remain in the forefront among States in the Federation in terms of commitment, allocation and distribution of resources in family planning. “For this reason, we come to say more grease to your elbows for showing concern for the health of the people, especially women of reproductive age. “We are also looking forward for better and fruitful engagement this year,” Kure said. Responding, the Permanent Secretary assured FHANI of continued support and do what was necessary for the betterment of the people.